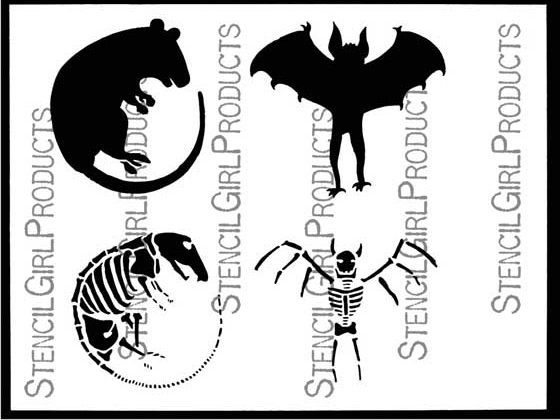 StencilGirl Talk: Rat & Bat, Wolf , and Rabid Rabbit - Roxanne Coble Stencils in time for Halloween! 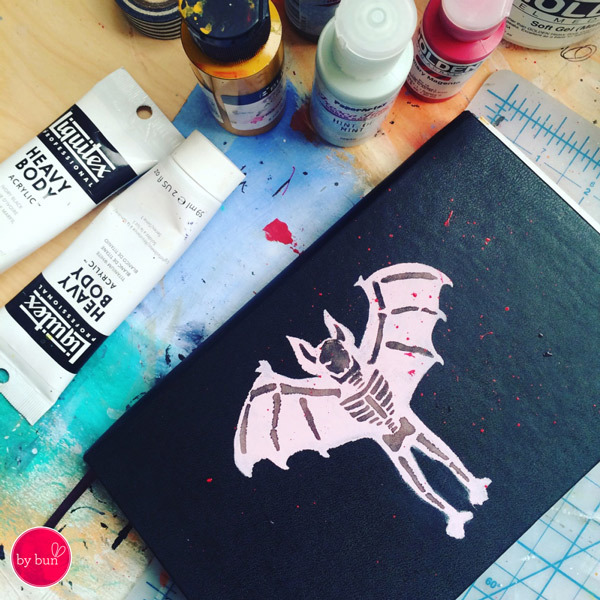 Rat & Bat, Wolf , and Rabid Rabbit - Roxanne Coble Stencils in time for Halloween! 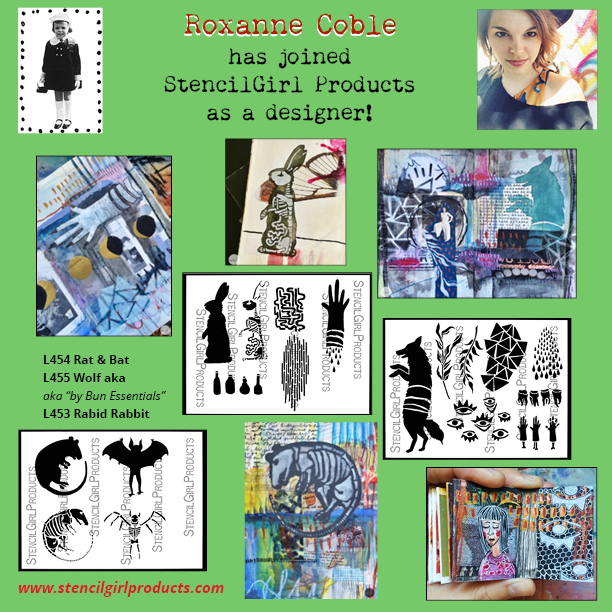 Mary Beth Shaw and StencilGirl Products are thrilled to announce that Roxanne Coble has joined our group of exceptional designers, premiering with 3 new stencils. Roxanne Coble (also known as ‘By Bun’) is a mixed media artist, illustrator, and maker of things. 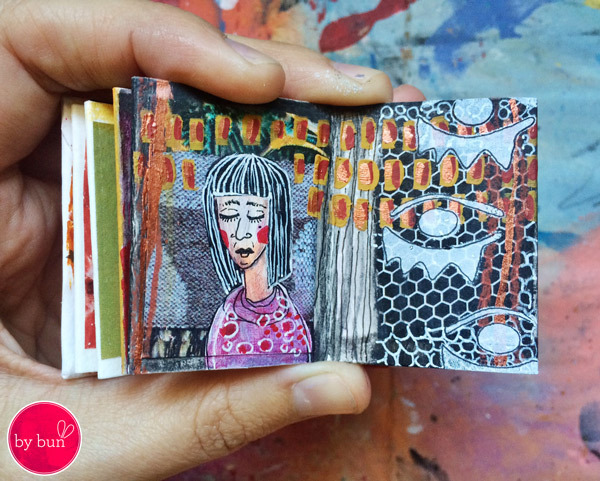 Known for her art journals, her work fuses both mixed media and painted illustration. Inspired by the quirks of everyday life, completed pages embrace a balance of humor and dark emotional themes – all while exploring topical events that occur within her personal life. 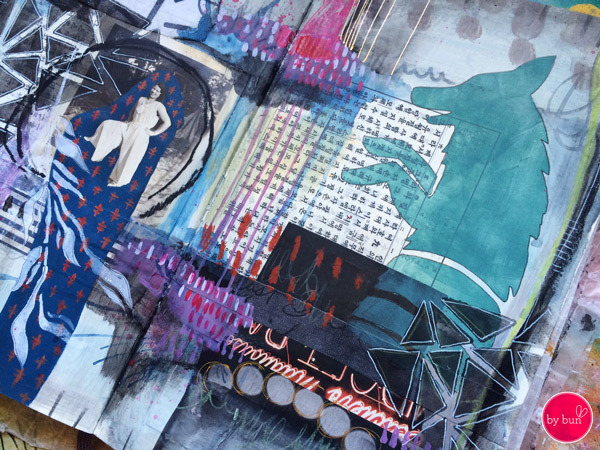 Roxanne’s work has been featured on the cover of Art Journal Magazine and more recently as a guest artist on Make It Artsy (airing this fall on PBS). Currently, Roxanne is working as an artist and freelance art educator in Southern California. 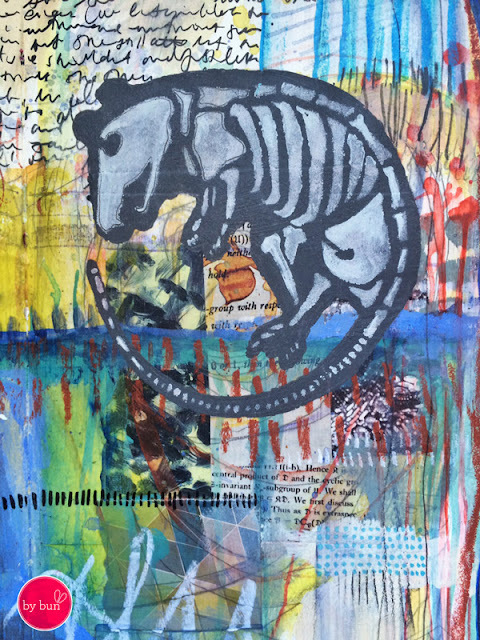 Roxanne says: "This stencil contains some of my most common imagery seen in my artwork. It is a By Bun Essentials stencil. Several designs can be used as layers or to draw attention to areas of your artwork - such as the drops, triangular pattern, or leaves. While other designs can be used as a focal point by applying them in solid blocks of color, and detailing them with with a pen!" 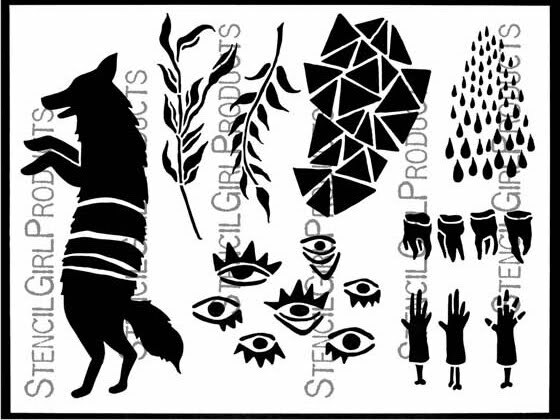 "This stencil set encompasses a variety of illustrative elements found directly in my sketchbook and art journal pages. 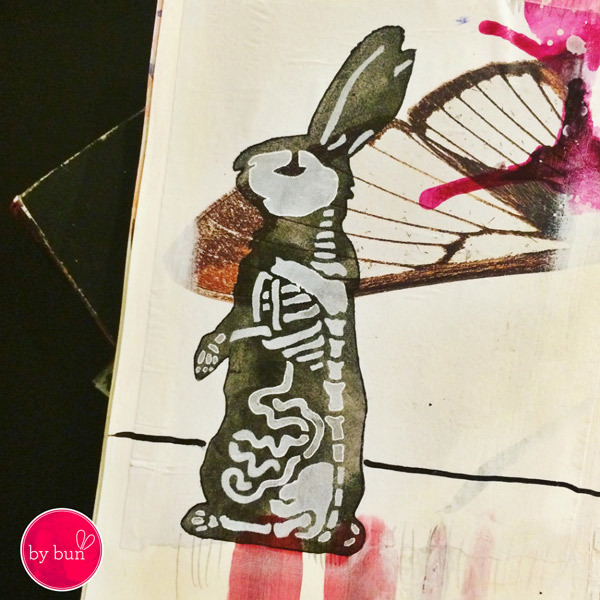 These designs can be layered - such as the bunny outline and ‘interior’ or ‘intestinal’ lines. The designs can be used separately as illustrations - like the vessels and hand, where you can customize them with your own pen or paint details!" "The Rat and Bat stencil comes straight out of the pages of my sketchbook! These stencils are inspired by a body of work where I was exploring fauna and their various states of transparencies. The design allows you to use them separately, or layered on top of one another to create your own fantastical fauna." We'll be sharing more of Roxanne's captivating art plus other seasonally-themed projects in the Scoop! 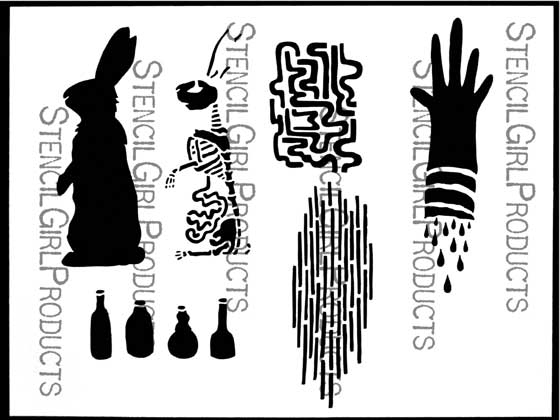 You can sign up for StencilGirl's newsletter if you need to - the link is on the right column of this page.